The Governor of St. Auguitine to the Captain General of Cuba. MOST EXCELLENT SIR: ST. AUGUBTINE, FLORIDA, June 4, 1813.
prehended. God preserve your excellency many years. His Excellency Don JUAN Ruiz ne APODACA. Cuba, which (hey obtained on account of the insurrection of this province. ST. AUOUSTINE, EAST FLORIDA, January 9, 1824.
that the foregoing is a true and correct translation from a document in the Spanish language. CITY or ST. AUGUSTINE, FLORIDA. constantly employed in its defence. CaptainsDon Bernardo Segui, Don Pedro Cocifacio, Don George Fleming. LieutenantsDon Juan O'Reilly, Don Juan Clark. EnsignsDon Joaquim Sanchez, Don Geronimo Alvarez. LieutenantsDon Ramon Castillo, Don Miguel Fuentecilla, Don Justo Lopez. EnsignsDon Christoval Bravo, Don Bias Crespo, Don Lorenzo Boniguet, Don Manuel Palomino. 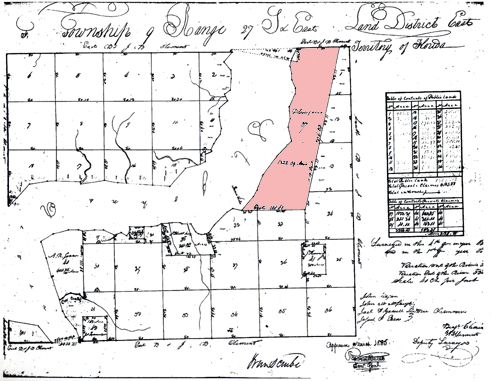 ST. ADGUSTINE, FLORIDA, June 4, 1813. ST. ACOCBTINE, EAST FLORIDA, January 9, 1824.
th»t the foregoing is a true and correct translation from a document in the Spanish language.